I’ve just been piddling along on this project this week. 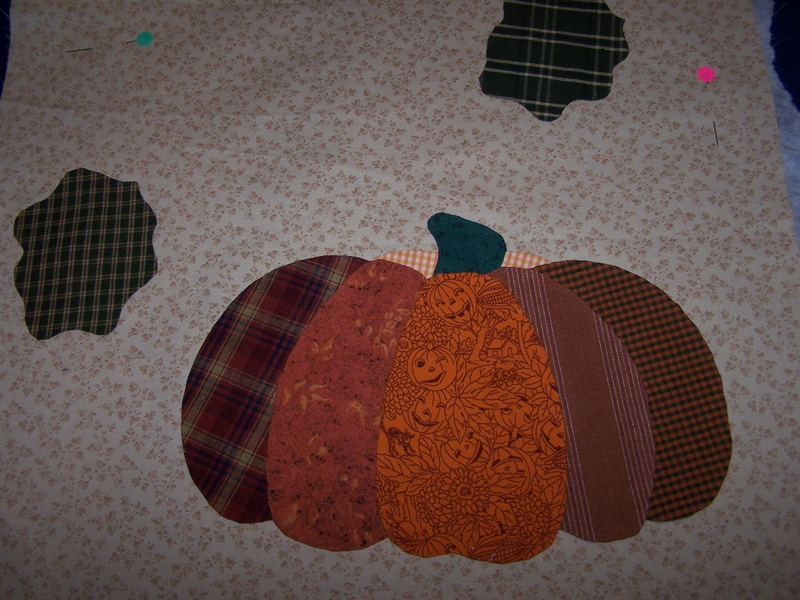 When I started it, I was using the freezer paper method for the the turned edge applique. I am not very experienced with applique, and find it much more challenging than piecing. I found out early on that needle turn is not the method for me. I’m not crazy about fusibles. I am now using Sharon Schamber’s methods, and slowly but surely, I think I’m getting a little better, and I’m enjoying the process more. I bought Sharon’s book, Piece by Piece Machine Applique, and have a premium membership to her network, where I can watch her training videos. I am very much a visual learner, so I find the videos quite helpful. Maybe I have finally found the method that works best for me. I also have found Sharon’s applique methods helpful after trying every other method under the sun! Great pumpkins, Randi. I like ’em. Your pumpkins are looking very adorable!!! I can’t wait to see more pictures! Love the pumpkins, Randi!! Can’t wait to see your quilt when it is finished! 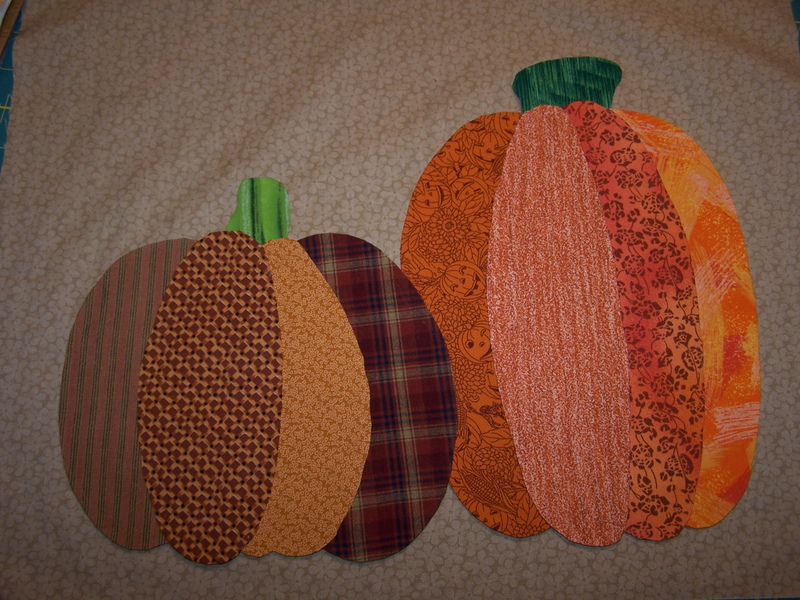 I love pumpkins, and pumpkin patterns, and these are adorable! Can’t wait to see how you quilt it! Is it fall in your part of Texas yet? We’re having warm days and cool nights. It’s heaven!